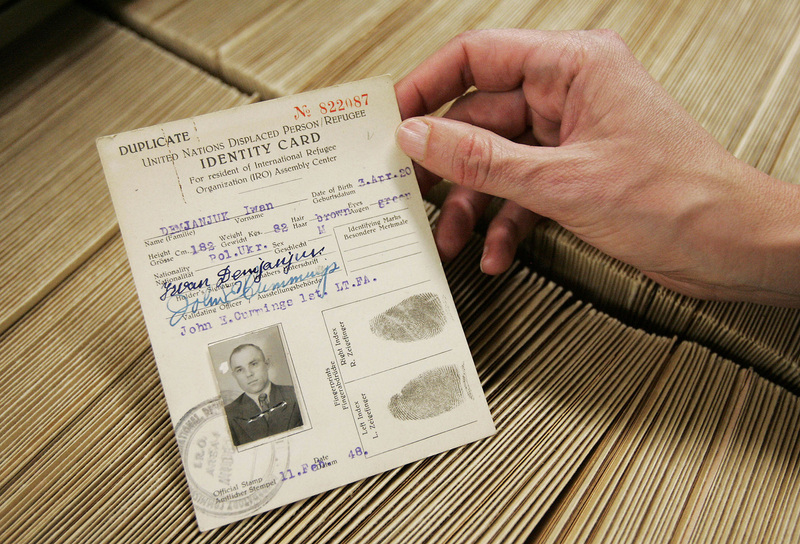 Rivaled only by Israel’s Yad Vashem Holocaust Center and the Washington Holocaust Memorial Museum in historical value, Bad Arolsen contains 30 million documents on survivors of Nazi camps, Gestapo prisons, forced laborers and displace persons. One example of the power of preserving the past is George Jaunzemis who received a letter in 2010 from the International Tracing Service in Bad Arsolen which changed his life finding out his real name was Peter Thomas and had a nephew as well as a cousin in Germany. He never knew that the Latvian women he emigrated with to New Zealand was not his mother and had no memory of his early years as he was only three and half at the end of WWII when he separated from his mother as she fled with him from Germany to Belgium. Jaunzemis, 71, told Reuters, “I was astonished, thrilled. After all this time, I was an uncle. You don’t know what it’s like to have no family or childhood knowledge. Suddenly all the pieces fitted, now I can find my peace as a person.” Even though the story has a seemingly happy ending, it took Jaunzemis three decades of searching to find the vast archive in a remote corner of Germany. Many people don’t even know the archive exists as it was only opened to researchers in 2007 after being widely criticized for overprotecting the original material locked in its facility, but Bad Arolsen still struggles to receive the recognition it deserves says many academics. Only 2,097 people visited Bad Arolsen compared to 900,000 who visited Yad Vashem reports Reuters. Rebecca Boehling, a historian from the Dresher Center for Humanities at the University of Maryland in Baltimore County, wants to change this, “We have a new agenda. We’re sitting on a treasure trove of documents. We want people to know what we have. Our material can change our perspective on big topics related to the war and the Holocaust.” Boehling is the first archive director not affiliated with the International Committee of the Red Cross who managed Bad Arolsen since 1955 who handed the reins over to an international commission of 11 countries in January hoping to open the archives for academic study. Boehling hopes to open the archive for international conferences, get foreign students to use the ITS, publish research and host teachers’ workshops even though the budget of 14 million euros from the German government may not cover it all. The archive, as Boehling believes should be used as an educational tool for the younger generations as the ITS can provide an abundance of personal stories from victims and hope the events they host will draw more than just the townspeople and groups of pupils from nearby. This entry was posted in 2013, crime, Germany, goverment, history, holocaust, human rights, international, military, news, people, picture, politics, tribute, video, war, wisdom, world and tagged Bad Arolsen, Genocide, German Holocaust Archive, Germany, Holocaust, International Tracing Service, museum, news, Oskar Schindler, Reuters, Schindler's List, Shoah, United States Holocaust Memorial Museum, video, world news, Yad Vashem. Hi, I ddo believe this is an excellent website. I bookmarked it. Money and freedom is the greatest way tto change, may you be rich and continue too help other people.